We generally put the importance of fitness at the front door of physicality. However, according to Harvard Education mental fitness is just as vital to our wellbeing, especially as you grow older. As we age our brains change, our neurons (brain cells) accumulate fat deposits, hindering their function. The neurons die from old age, and are not replaced with new ones so that brain starts to shrink as we age. This means that the messages that are sent between neurons work at a slower speed. Improving your mental dexterity helps to keep both your mind and body healthy. Additionally, mental exercises that aid relaxation are equally as useful as those stoking your brainpower. This doesn’t mean you can forget physical fitness, healthy bodies prevent diabetes and heart disease. However, it does mean that you should find time in your daily routine to complete mental dexterity exercises. This will keep your mind sharper and your body healthier, thus helping you maintain your independence. Don’t worry, though, this doesn’t involve IQ tests or brain competitions. What these exercises do is help you slow down and decompress, and boost a waning memory. We already know that physical exercise can help battle depression, but as it turns out mental exercise is also beneficial. 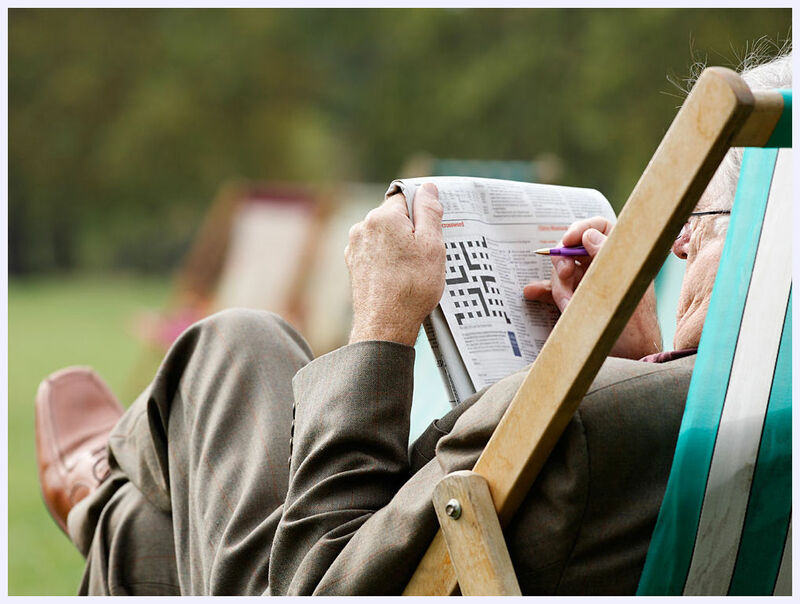 Crossword puzzles test the reasoning part of your brain and are an excellent way to keep your mind sharp. They are an ideal way to build your brain muscles, and aid in increasing your reaction time, attention span, and improve your logic, reasoning skills, and trivia knowledge. Crossword puzzles are the perfect mind improving task because it sharpens your focus. We live in a world where everything has to be completed while multitasking, and as wonderful as that is it breaks our ability to concentrate. Focusing on a single task improves concentration and improves your production rates. When sitting down to do a crossword puzzle it becomes your sole focus. A healthy and sharp mind helps prevent dementia, Alzheimer’s, and can even help to prevent or improve the symptoms of depression and anxiety. For people who have already been diagnosed with the former, crossword puzzles can be used to slow down the progress of symptoms. You might be thinking all of this sounds great, but you’re busy and you just don’t have time. If you don’t have time to solve an entire puzzle, that’s fine- you can work on your puzzle for 10 to 15 minutes every day until it’s done and move on to the next one. Nothing says that the puzzle needs to be completed in one sitting. You can even involve your family and make it a group exercise to increase bonding, and verbal skills for everyone.